Burt Reynolds, whose good looks and charm made him one of Hollywood’s most popular actors as he starred in films such as Deliverance, The Longest Yard and Smokey and the Bandit in the 1970s and ’80s, has died at age 82. Reynolds died on Thursday morning at the Jupiter Medical Center in Florida, his manager, Erik Kritzer, said in an email. A spokesman for Reynolds said the actor died in Jupiter, Florida, on Thursday morning after suffering a heart attack. “It is with a broken heart that I said goodbye to my uncle today,” Reynolds’ niece Nancy Lee Hess said in a statement sent to Reuters by Kritzer. “My uncle was not just a movie icon; he was a generous, passionate and sensitive man, who was dedicated to his family, friends, fans and acting students,” she added. The actor had suffered with heart problems for years and underwent heart surgery in February 2010. He was nominated for an Oscar for best supporting actor his role as adult film director Jack Horner in Boogie Nights in 1997. Reynolds reportedly turned down the roles of Han Solo in Star Wars and John McClane in Die Hard, later saying he was more interested in enjoying himself than pushing his acting career to new heights. In his 2015 memoir, But Enough About Me, he said: "I didn"t open myself to new writers or risky parts because I wasn"t interested in challenging myself as an actor. I was interested in having a good time. Many of Reynolds’ films were set in the South. He often played a lovable rascal who outwits local authorities, as in director Hal Needham’s 1977 crowd-pleasing action comedy Smokey and the Bandit, co-starring his girlfriend Field and Jackie Gleason, and its two sequels. Another of his better roles was that of a former pro quarterback who lands in prison and assembles a team of convicts to play the warden’s squad of brutal prison guards in 1974’s rollicking The Longest Yard, directed by Robert Aldrich. He appeared in a supporting role in 2005’s remake with Adam Sandler. While some of his performances were critically praised, others were ridiculed, particularly in the bloated action comedy Cannonball Run II, a sequel to his financial success “The Cannonball Run” (1981). He also starred in the notorious 1975 musical flop At Long Last Love, a film so atrocious that director Peter Bogdanovich publicly apologized for making it. Reynolds turned down notable roles including Han Solo in Star Wars, which went to Harrison Ford; the title role in a James Bond film; and the astronaut in “Terms of Endearment” that Jack Nicholson turned into an Oscar-winning performance. His niece said that although he had had health issues in the past, his death was unexpected. “My uncle was looking forward to working with Quentin Tarantino, and the amazing cast that was assembled,” she said. He was expected to be in Tarantino’s 2019 movie Once Upon a Time in Hollywood, according to movie and television information website IMDb. Burton Leon Reynolds Jr. was born on Feb. 11, 1936, in Lansing, Michigan, and grew up in Florida. He was a fine athlete and played football at Florida State University in the 1950s before his professional football hopes were dashed by injuries suffered in a car crash. Reynolds turned down the role of James Bond in 1970 when George Lazenby quit following On Her Majesty"s Secret Service, saying an American could not play the character. Arnold Schwarzenegger tweeted a tribute to Reynolds, who he described as "one of my heroes". "He was a trailblazer," Schwarzenegger said. "He showed the way to transition from being an athlete to being the highest paid actor, and he always inspired me. "He also had a great sense of humor - check out his Tonight Show clips. My thoughts are with his family." Snipes tweeted: "I will never forget our dinners, laughs and gems you dropped. "Meeting you was one of the greater joys of my adult life and artistic career. You were the "Man" then, now and forever in my book. "10-4 Bandit, you"ve got nothing but open road now - love, WS. the Student." 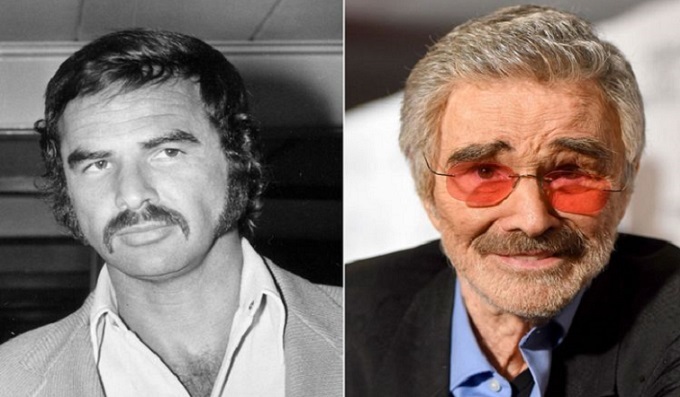 Harvey wrote: "Very sad to hearing about the passing of Burt Reynolds. He was a great actor, a philanthropist and a pioneer of the cool mustache. Thank you, Burt. 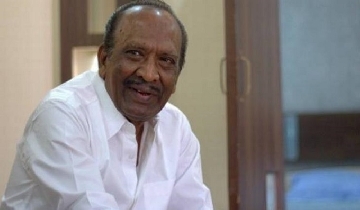 You will be missed." Comedian Ricky Gervais said: "RIP Burt Reynolds. Seems his whole career was tongue in cheek. Always warm and funny." Adam Sandler called him a "true legend".